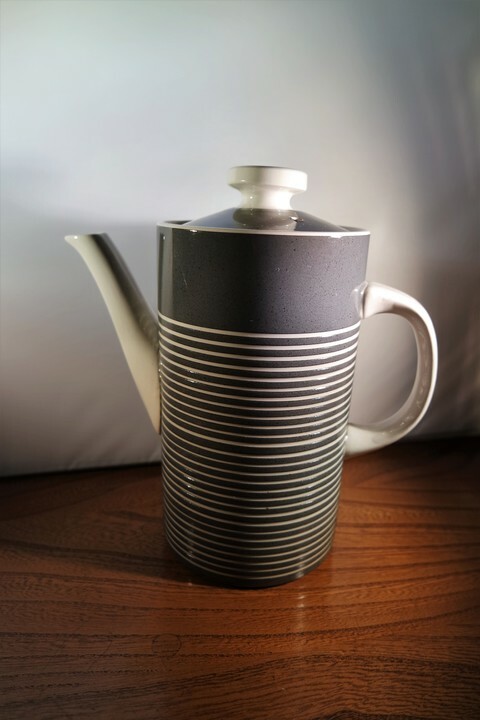 Immaculate T G Green coffee pot from the Channels Islands range, Sark design, in grey and white. 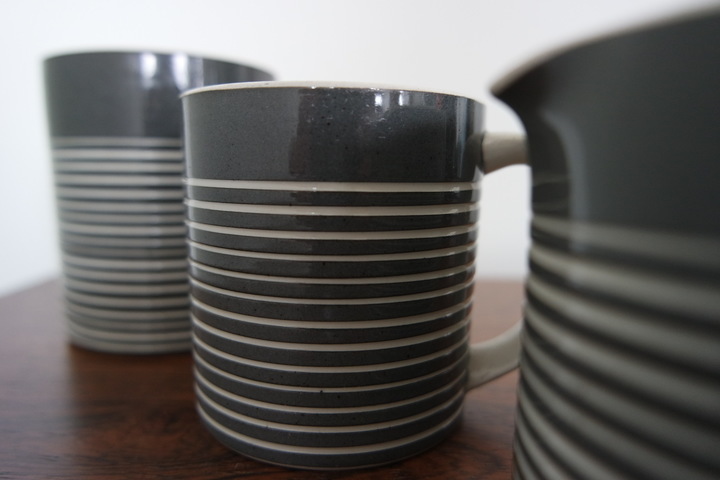 Following Judith Onions' restyling of the characteristic Cornish Ware range, she was joined by Martin Hunt to produce a more contemporary range of earthenware. 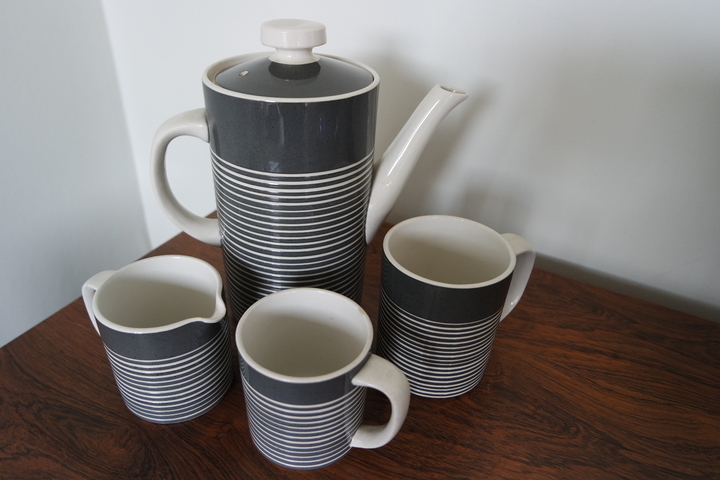 The set also includes two cups and a cream jug. 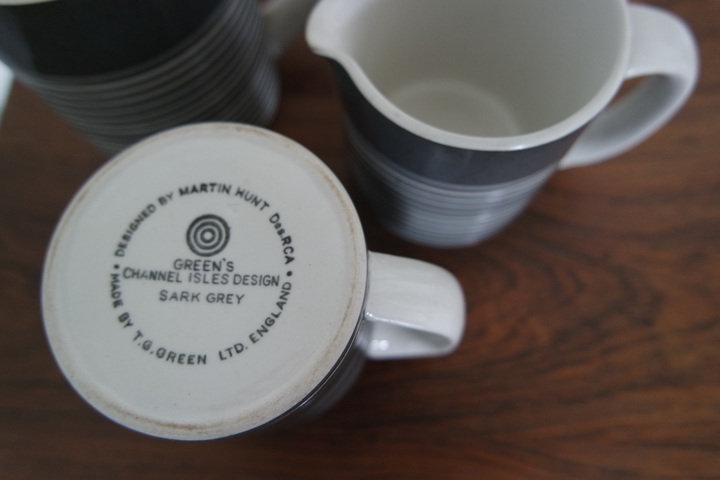 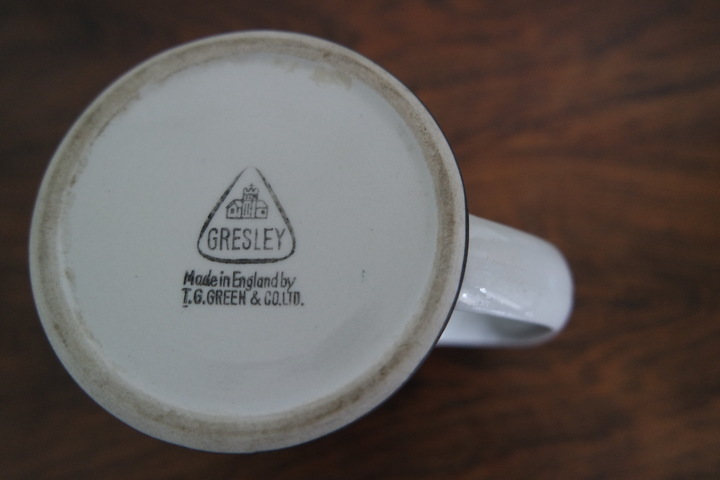 With the exception of one cup, these examples date from the early 1970s; the coffee pot includes the redesigned 'target' mark on the base while one of the cups carry Martin Hunt's name as well as the 'target' mark.